This second January batch roams around the world much as I’d like to myself in January, escaping the dullness of the British winter. 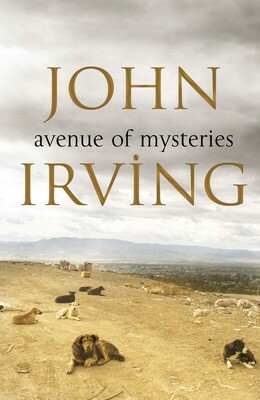 John Irving is a writer whose novels I’ve loved but who seems to have become distinctly hit and miss to me. I’d all but given up on him before Last Night in Twisted River which saw a return to the good old-fashioned storytelling that is his forte. I’m not entirely convinced about Avenue of Mysteries which follows an ageing man to the Philippines where the vivid events of his Mexican childhood and adolescence ‘collide with his future’, as the publishers put it. Worth trying but my hopes aren’t particularly high for this one. Irving seems to be much better on home territory than when he ventures overseas. Moving a little further west, Janice Y. K. Lee’s The Expatriates is set in Hong Kong. It interweaves the experiences of three American women, all living in the same expat community, each dealing with difficult circumstances: Mercy can’t seem to recover from a devastating event in her past; Margaret has suffered a terrible loss and Hilary is desperate to have a child. Each of them struggles to find a way to cope in a world where they find themselves questioning their own identities. I didn’t read Lee’s bestselling The Piano Teacher but this sounds like fertile ground for fiction and well worth a try. 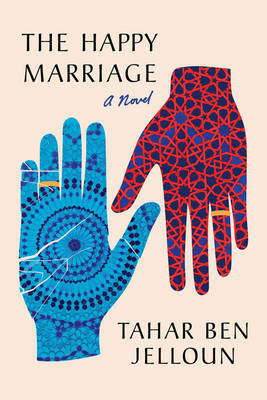 Tahar Ben Jelloun’s The Happy Marriage takes us to Morocco for this story of a marriage seen from both parties’ points of view. The husband has been paralysed by a stroke and is convinced that his marriage is to blame, keeping a secret record of its many failures as he sees them. When his wife finds his notebook, she rebuts his version point by point. Always an interesting structure, the novel’s context makes it particularly so set as it is ‘in a society where marriage remains a sacrosanct institution, but where there’s also a growing awareness of women’s rights’ as the publishers put it. Rachel B. Glaser’s Paulina & Fran sees two very different young women meet at a party near their New England art school. Soon they’re bosom buddies, busy slagging off their fellow students while bolstering their own egos until things go horribly wrong and friendship turns to enmity. Student days over, both have to contend with adulthood and all its disappointments. 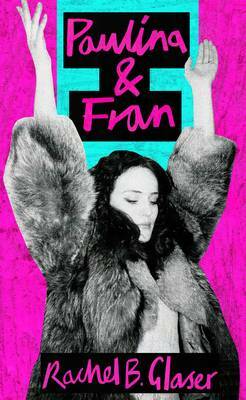 ‘Written with wit and brio, dancing between razor-sharp satire and a tender portrait of unrequited love, Paulina & Fran is a beguiling whirl of a novel from a writer of immense talent’ say the publishers and it does sound appealing. 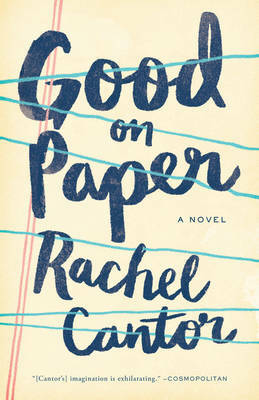 Rachel Cantor’s Good on Paper sees a frustrated young woman with a few published short stories under her belt, stuck in the temping world. Her life is about to be transformed when a Nobel Prize winning author offers her the opportunity to translate his book. Unfortunately, as instalments of the manuscript roll in, it seems that the book is untranslatable. ‘A deft, funny, and big-hearted novel about second chances, Good on Paper is a grand novel of family, friendship, and possibility.’ Which sounds like rather a nice way to start off the reading year. As ever, a click on a title will whisk you off to a more detailed synopsis and if you’d like to catch up with part one of January’s goodies they’re here. This entry was posted in Random thoughts, Reviews and tagged Avenue of Mysteries, Books published in January 2016, Good on Paper, Janice Y. K. Lee, John Irving, Last Night in Twisted River, Paulina & Fran, Rachel B. Glaser, Rachel Cantor, Tahar Ben Jelloun, The Expatriates, The Happy Marriage, The Piano Teacher on 18 December 2015 by Susan Osborne.